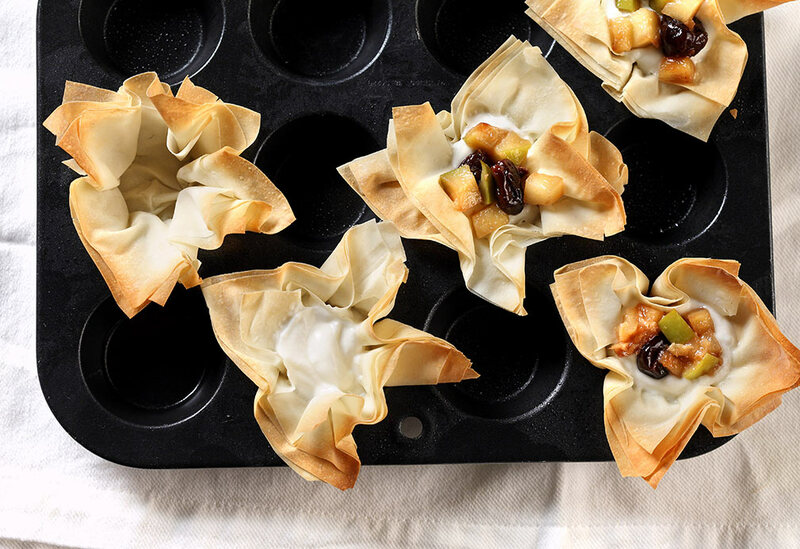 Quick and easy phyllo cups. 2. Lay one sheet of pastry on countertop and spray with canola oil. 3. Place second sheet of phyllo pastry over top. Continue layering and spraying with oil, until there are 4 layers of pastry. 4. Cut pastry squares 3 x 3 inch (7 x 7 cm). 6. 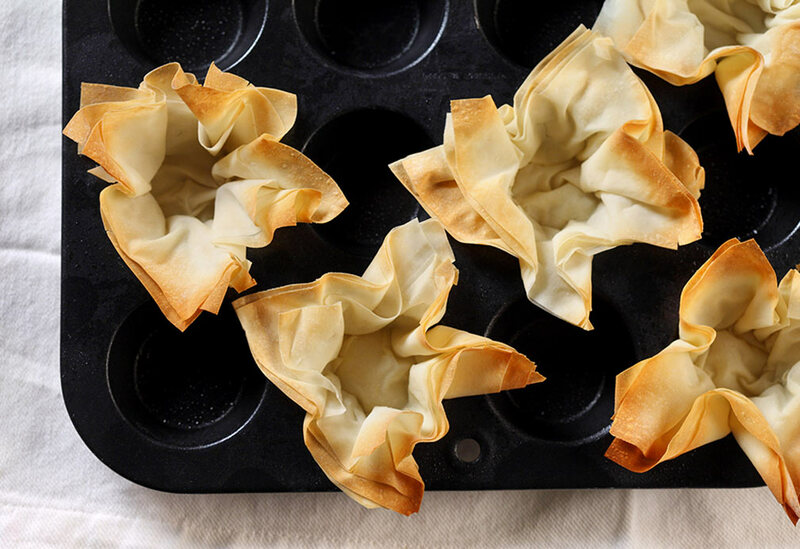 Bake cups at 375 °F (190 °C) for 5 minutes or until nicely browned. Note: The pastry squares can also be cut before spraying with canola oil spray. The squares can then be slightly off-set, when layering to obtain a more decorative appearance. This is a wonderfully easy way to bring home the concept of samosas (India's signature appetizer of pastry shells filled with seasoned potatoes and peas) into our harried western kitchens without the labour of making your own pastry shell. 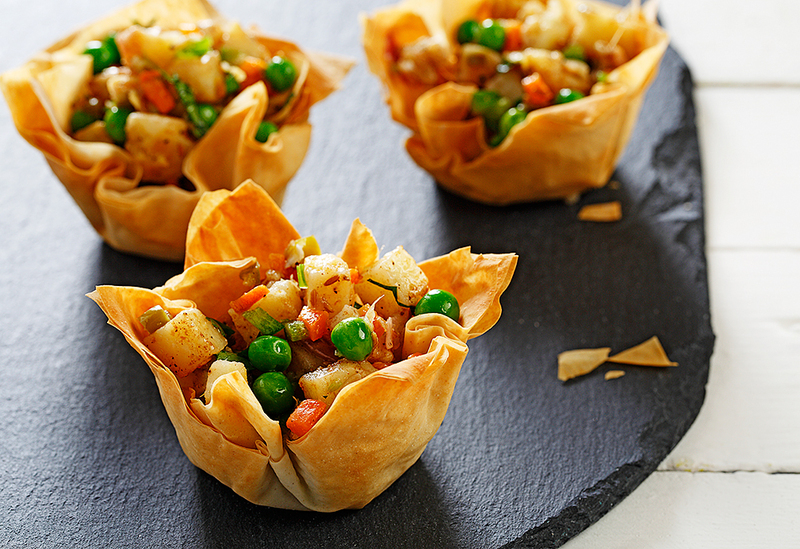 The phyllo cups offer not only an elegant presentation, but also an airily crispy contrast to the minty potatoes and peas. In this dish, crispy, burrito-style bundles cocoon a world of flavors found in Greek kitchens. Sweet-scented saffron, fragrant nutmeg and pungent black peppercorns combine with nutty chickpeas, iron-rich greens and salty feta. 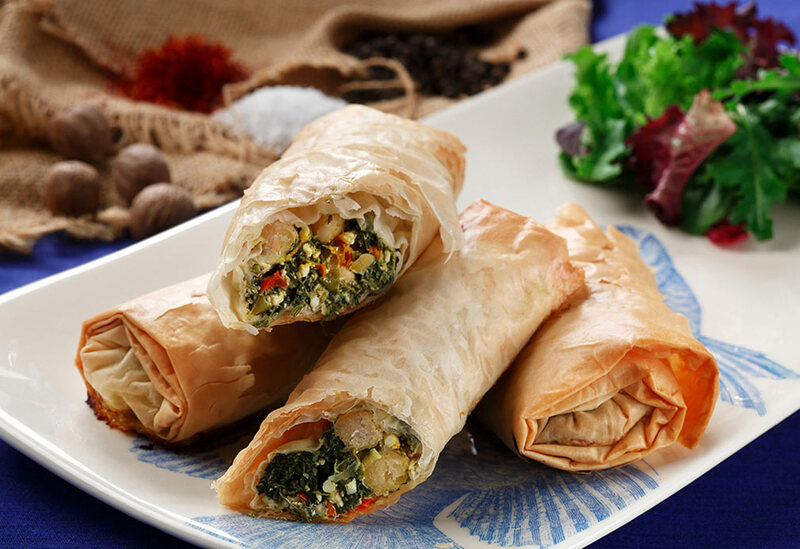 Canola oil binds these flavors and prevents the phyllo sheets from sticking together, creating a flaky texture. Serve these bundles of deliciousness with a green salad for an incredible lunch or dinner.